New Jersey's location within the U.S.
Salem County is a county located in the U.S. state of New Jersey. Its western boundary is formed by the Delaware River and it has the eastern terminus of the Delaware Memorial Bridge, connecting to New Castle, Delaware. Its county seat is Salem. The county is part of the Delaware Valley area. As of the 2017 Census estimate, the county's population was 62,792, making it the state's least populous county, representing a 5.0% decrease from the 66,083 enumerated at the 2010 Census, in turn increasing by 1,798 (+2.8%) from the 64,285 counted in the 2000 Census, retaining its position as the state's least populous county. The most populous place was Pennsville Township, with 13,409 residents at the time of the 2010 Census. Lower Alloways Creek Township covers 72.46 square miles (187.7 km2), the largest total area of any municipality. European settlement began with English colonists in the seventeenth century, who were settling both sides of the Delaware River. They established a colonial court in the area in 1681, but Salem County was first formally organized within West Jersey on May 17, 1694, from the Salem Tenth. Pittsgrove Township was transferred to Cumberland County in April 1867, but was restored to Salem County in February 1868. 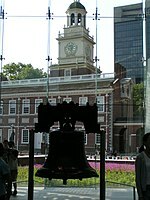 The area was initially settled by Quakers. The Old Salem County Courthouse, situated on the same block as the Salem County Courthouse, serves as the court for Salem City in the 21st century. It is the oldest active courthouse in New Jersey and is the second oldest courthouse in continuous use in the United States, the oldest being King William County Courthouse in Virginia. The courthouse was built in 1735 during the reign of King George II using locally manufactured bricks. The building was enlarged in 1817 and additionally enlarged and remodeled in 1908. Its distinctive bell tower is essentially unchanged and the original bell sits in the courtroom. Judge William Hancock of the King's Court presided at the courthouse. He was later killed by the British in the American Revolutionary War during the massacre at Hancock House committed by the British against local militia during the Salem Raid in 1778. Afterward the courthouse was the site of the "treason trials," wherein suspected Loyalists were put on trial for having allegedly aided the British during the Salem Raid. Four men were convicted and sentenced to death for treason; however, they were pardoned by Governor William Livingston and exiled from New Jersey. The courthouse is also the site of the legend of Colonel Robert Gibbon Johnson's proving the edibility of the tomato. Before 1820, Americans often assumed tomatoes were poisonous. In 1820, Colonel Johnson, according to legend, stood upon the courthouse steps and ate tomatoes in front of a large crowd assembled to watch him do so. Salem County is notable for its distinctive Quaker-inspired architecture and masonry styles of the 18th century. It had a rural and agricultural economy. In the early 20th century, its towns received numerous immigrants from eastern and southern Europe, who markedly added to the population. In the period following World War II, the county's population increased due to suburban development. To accommodate increasing traffic, the Delaware Memorial Bridge was built from Salem County to New Castle, Delaware. According to the 2010 Census, the county had a total area of 372.33 square miles (964.3 km2), including 331.90 square miles (859.6 km2) of land (89.1%) and 40.43 square miles (104.7 km2) of water (10.9%). The county is bordered on the west by the Delaware River, and drained by Salem River, Alloway, and other creeks. The terrain is almost uniformly flat coastal plain, with minimal relief. The highest elevation in the county has never been determined with any specificity, but is likely one of seven low rises in Upper Pittsgrove Township that reach approximately 160 feet (49 m) in elevation. Sea level is the lowest point. Supawna Meadows National Wildlife Refuge - Originally established in 1974, the refuge is administered by the United States Fish and Wildlife Service and located in Pennsville Township on the Delaware River estuary, covering 3,020 acres (1,220 ha) of land, most of which is a brackish tidal marsh that is a home for fresh and saltwater plants and a variety of wildlife. As of the 2010 United States Census, there were 66,083 people, 25,290 households, and 17,551.260 families residing in the county. The population density was 199.1 per square mile (76.9/km2). There were 27,417 housing units at an average density of 82.6 per square mile (31.9/km2). The racial makeup of the county was 79.83% (52,757) White, 14.09% (9,309) Black or African American, 0.36% (240) Native American, 0.84% (557) Asian, 0.02% (10) Pacific Islander, 2.64% (1,745) from other races, and 2.22% (1,465) from two or more races. Hispanic or Latino of any race were 6.82% (4,507) of the population. There were 25,290 households out of which 29% had children under the age of 18 living with them, 49.9% were married couples living together, 14.4% had a female householder with no husband present, and 30.6% were non-families. 25.4% of all households were made up of individuals, and 10.9% had someone living alone who was 65 years of age or older. The average household size was 2.56 and the average family size was 3.07. In the county, the population was spread out with 23.5% under the age of 18, 8.2% from 18 to 24, 23.9% from 25 to 44, 29.4% from 45 to 64, and 15% who were 65 years of age or older. The median age was 40.8 years. For every 100 females there were 94.9 males. For every 100 females ages 18 and older there were 91.6 males. As of the 2000 United States Census there were 64,285 people, 24,295 households, and 17,370 families residing in the county. The population density was 190 people per square mile (73/km²). There were 26,158 housing units at an average density of 77 per square mile (30/km²). The racial makeup of the county was 81.19% White, 14.77% Black or African American, 0.35% Native American, 0.62% Asian, 0.03% Pacific Islander, 1.57% from other races, and 1.46% from two or more races. 3.89% of the population were Hispanic or Latino of any race. Among those residents listing their ancestry, 20.0% were of German, 17.1% Irish, 13.9% English, 12.2% Italian and 6.1% American ancestry according to Census 2000. In the county, the population was spread out with 25.60% under the age of 18, 7.80% from 18 to 24, 27.90% from 25 to 44, 24.20% from 45 to 64, and 14.50% who were 65 years of age or older. The median age was 38 years. For every 100 females there were 93.40 males. For every 100 females age 18 and over, there were 90.20 males. The median income for a household in the county was $45,573, and the median income for a family was $54,890. Males had a median income of $41,860 versus $27,209 for females. The per capita income for the county was $20,874. About 7.2% of families and 9.5% of the population were below the poverty line, including 13.3% of those under age 18 and 6.6% of those age 65 or over. Salem County is governed by a five-member Board of Chosen Freeholders who are elected at-large to serve three-year terms of office on a staggered basis, with either two or three seats coming up for election each year. At an annual reorganization meeting held in the beginning of January, the board selects a Director and a Deputy Director from among its members. The appointed position professional county administrator was abolished by a unanimous vote of the freeholders in January 2014. In 2016, freeholders were paid $25,410 and the freeholder director was paid an annual salary of $26,410. In the 2016 general election, Salem County voters approved a binding referendum to cut the number of freeholders from seven to five as well as a non-binding referendum to cut freeholder salaries by 20%; both initiatives, which had been placed on the ballot as the result of grassroots campaigns opposed to a proposed outsourcing deal, passed by a 3-1 margin. In the wake of the referendum results, Freeholder Director Julie Acton resigned in December 2016 and was replaced by Scott Griscom. In April 2017, the New Jersey Supreme Court ruled that the reduction in seats will be accomplished through attrition, with the seats expiring at the end of 2017 (held by freeholders Cross, Painter and Vanderslice) being eliminated; in the November 2017 general election there will be one new three-year seat up for vote as well as a two-year unexpired term, so that on January 1, 2018, there will be a five-member freeholder board. Scott Griscom was sworn into office in January 2017 to fill the seat expiring in December 2019 that was vacated by Julie Acton following her resignation in December 2016 and served on an interim basis until the November 2017 general election, when he was elected to serve the balance of the term of office. Surrogate Nicki A. Burke (D, Pilesgrove Township, 2020). The Salem County Prosecutor is John T. Lenahan of Pilesgrove Township, who was nominated by Governor of New Jersey Chris Christie in June 2014. Salem County is a part of Vicinage 15 of the New Jersey Superior Court (along with Cumberland County and Gloucester County), seated in Woodbury in Gloucester County; the Assignment Judge for the vicinage is Benjamin C. Telsey. The Salem County Courthouse is in Salem. As of March 23, 2011, there were a total of 42,672 registered voters in Salem, of which 13,052 (30.6%) were registered as Democrats, 8,945 (21.0%) were registered as Republicans and 20,652 (48.4%) were registered as Unaffiliated. There were 23 voters registered to other parties. Among the county's 2010 Census population, 64.6% were registered to vote, including 84.4% of those ages 18 and over. As of March 23, 2011, there were a total of 42,672 registered voters in Salem, of which 13,052 (30.6% vs. 30.6% countywide) were registered as Democrats, 8,945 (21.0% vs. 21.0%) were registered as Republicans and 20,652 (48.4% vs. 48.4%) were registered as Unaffiliated. There were 23 voters registered to other parties. In the 2012 U.S. Presidential election, Democrat Barack Obama and Republican Mitt Romney tied, with both candidates receiving 14,719 votes each; the state voted for Obama. Among the county's 2010 Census population, 64.6% (vs. 64.6% in Salem County) were registered to vote, including 84.4% of those ages 18 and over (vs. 84.4% countywide). In 2004 Bush received 15,721 votes here (52.5%), ahead of Kerry with 13,749 votes (45.9%) and other candidates with 311 votes (1.0%), among the 29,950 ballots cast by the county's 42,210 registered voters, for a turnout of 71.0%. In the 2009 gubernatorial election, Republican Chris Christie received 9,599 votes here (46.1%), ahead of Democrat Jon Corzine with 8,323 votes (39.9%), Independent Chris Daggett with 2,011 votes (9.7%) and other candidates with 411 votes (2.0%), among the 20,838 ballots cast by the county's 44,037 registered voters, yielding a 47.3% turnout. Salem County falls entirely within the 2nd congressional district and the 3rd state legislative district. For the 116th United States Congress, New Jersey's Second Congressional District is represented by Jeff Van Drew (D, Dennis Township). For the 2018–2019 session (Senate, General Assembly), the 3rd Legislative District of the New Jersey Legislature is represented in the State Senate by Stephen M. Sweeney (D, West Deptford Township) and in the General Assembly by John J. Burzichelli (D, Paulsboro) and Adam Taliaferro (D, Woolwich Township). As of 2010[update], the county had a total of 879.53 miles (1,415.47 km) of roadways, of which 429.36 miles (690.99 km) were maintained by the local municipality, 355.17 miles (571.59 km) by Salem County and 85.94 miles (138.31 km) by the New Jersey Department of Transportation and 9.06 miles (14.58 km) by the New Jersey Turnpike Authority. Salem is served by many different roads. Major county routes include CR 540, CR 551, CR 553 (only in Pittsgrove) and CR 581. State highways include Route 45, Route 47, Route 48 (only in Carneys Point), Route 56 (only in Pittsgrove), Route 77 and Route 140 (only in Carneys Point). The U.S. routes are U.S. Route 40 and the southern end of U.S. Route 130. Limited access roads include Interstate 295 and the New Jersey Turnpike. Both highways pass through the northern part of the county. Only one turnpike interchange is located in Salem: Exit 1 in Carneys Point (which is also where the turnpike ends). There are a pair of service areas on the Turnpike, both located between exits 1 and 2 in Oldmans Township: The John Fenwick Service Area on the northbound side and the Clara Barton Service Area in the southbound direction. The Delaware Memorial Bridge (which is signed as I-295/US 40) is a set of twin suspension bridges crossing the Delaware River.Connecting New Castle, Delaware and Pennsville Township, the original span was opened in 1951 and the second span in 1968. Municipalities in Salem County (with 2010 Census data for population, housing units and area in square miles) are: Other, unincorporated communities in the county are listed next to their parent municipality. Some of these areas are census-designated places (CDPs) that have been created by the United States Census Bureau for enumeration purposes within a Township. Other communities and enclaves that exist within a municipality are also listed next to the name. In recent years, average temperatures in the county seat of Salem have ranged from a low of 25 °F (−4 °C) in January to a high of 86 °F (30 °C) in July, although a record low of −14 °F (−26 °C) was recorded in January 1985 and a record high of 107 °F (42 °C) was recorded in August 1918. Average monthly precipitation ranged from 2.78 inches (71 mm) in February to 4.57 inches (116 mm) in July. Wistarburgh Glass Works - an eighteenth-century glass company operating in the county. ^ a b Snyder, John P. The Story of New Jersey's Civil Boundaries: 1606-1968, Bureau of Geology and Topography; Trenton, New Jersey; 1969. p. 120. Accessed October 30, 2012. ^ Hutchinson, Viola L. The Origin of New Jersey Place Names, New Jersey Public Library Commission, May 1945. Accessed October 29, 2017. ^ a b New Jersey County Map, New Jersey Department of State. Accessed July 10, 2017. ^ a b c d e f DP1 - Profile of General Population and Housing Characteristics: 2010 Demographic Profile Data for Salem County, New Jersey, United States Census Bureau. Accessed March 26, 2016. ^ a b c QuickFacts - Salem County, New Jersey; New Jersey; United States, United States Census Bureau. Accessed March 24, 2018. ^ Annual Estimates of the Resident Population: April 1, 2010 to July 1, 2017 - 2017 Population Estimates, United States Census Bureau. Accessed March 24, 2018. ^ GCT-PEPANNCHG: Estimates of Resident Population Change and Rankings: July 1, 2016 to July 1, 2017 - State -- County / County Equivalent from the 2017 Population Estimates for New Jersey, United States Census Bureau. Accessed March 24, 2018. ^ a b c d e DP-1 - Profile of General Demographic Characteristics: 2000; Census 2000 Summary File 1 (SF 1) 100-Percent Data for Salem County, New Jersey, United States Census Bureau. Accessed January 23, 2013. ^ NJ Labor Market Views Archived 2013-09-20 at the Wayback Machine, New Jersey Department of Labor and Workforce Development, March 15, 2011. Accessed October 6, 2013. ^ a b c d New Jersey: 2010 - Population and Housing Unit Counts; 2010 Census of Population and Housing, p. 6, CPH-2-32. United States Census Bureau, August 2012. Accessed August 29, 2016. ^ Bishir, Catherine (2005). North Carolina Architecture. University of North Carolina Press. p. 17. ^ Census 2010 U.S. Gazetteer Files: New Jersey Counties, United States Census Bureau, Backed up by the Internet Archive as of June 11, 2012. Accessed October 6, 2013. ^ Ripley, George; Dana, Charles A., eds. (1879). "Salem, a S. W. county of New Jersey" . The American Cyclopædia. ^ New Jersey County High Points, Peakbagger.com. Accessed October 1, 2013. ^ Areas touching Salem County, MapIt. Accessed August 17, 2015. ^ Supawna Meadows National Wildlife Refuge Brochure, United States Fish and Wildlife Service. Accessed August 17, 2015. ^ Forstall, Richard L. Population of states and counties of the United States: 1790 to 1990 from the Twenty-one Decennial Censuses, pp. 108-109. United States Census Bureau, March 1996. ISBN 9780934213486. Accessed October 6, 2013. ^ U.S. Census Bureau Delivers New Jersey's 2010 Census Population Totals, United States Census Bureau, February 3, 2011. Accessed February 5, 2011. ^ a b c Tables DP-1 to DP-4 from Census 2000 for Salem County, New Jersey, United States Census Bureau, backed up by the Internet Archive as of July 6, 2008. Accessed October 1, 2013. ^ DP-2 - Profile of Selected Social Characteristics: 2000 from the Census 2000 Summary File 3 (SF 3) - Sample Data for Salem County, New Jersey, United States Census Bureau. Accessed September 30, 2013. ^ DP-3 - Profile of Selected Economic Characteristics: 2000 from Census 2000 Summary File 3 (SF 3) - Sample Data for Salem County, New Jersey, United States Census Bureau. Accessed September 30, 2013. ^ Young, Alex. "Salem County freeholders look to 2014 at annual reorganization meeting", South Jersey Times, January 9, 2014. Accessed October 22, 2017. "He replaces Evern Ford, who will leave county government after the board also voted to abolish his county administrator position with a unanimous vote." ^ Gallo Jr., Bill. "Which N.J. county freeholders are paid the most? ", NJ.com, March 11, 2016. Accessed October 25, 2017. "Freeholder director: $26,410; Other freeholders: $25,410"
^ Gallo Jr., Bill. "Salem County votes to cut freeholder board from 7 to 5 members", NJ.com, November 9, 2016. Accessed October 29, 2017. "Salem County residents Tuesday voted overwhelmingly to cut the membership of the freeholder board from seven to five. The result means that at the next election, November 2017, a new five-seat board will be elected.The vote was 21,942 to 7,013 in favor of the referendum. Also on the ballot was a second question dealing with the freeholders, asking whether their salaries should be cut by 20 percent. That question was approved by a vote of 22,272 to 6,543." ^ Gallo Jr., Bill. "Salem County freeholder board swears in new member", NJ.com, January 19, 2017. Accessed October 29, 2017. "Republican Scott Griscom, 69, was sworn in Wednesday night to fill the seat on the board left vacant by the abrupt resignation of Julie Acton in December." ^ Gallo Jr., Bill. "High court rejects appeal on how to handle Salem freeholder election ", NJ.com, April 3, 2017. Accessed October 29, 2017. "Salem County Clerk Gilda T. Gill's original plan had been to elect all five new members to the board, but Democrat Party Chairman Steven Caltabiano disagreed and filed suit in Superior Court. A judge there agreed with Gill's formula, but Caltabiano pursued the matter and a state Appellate Court agreed with Caltabiano that only one freeholder should be elected to a new full term. The court also agreed with Caltabiano's contention that the board should be allowed to shrink through attrition and those whose terms are up at the end of the year be allowed to stay on until then." ^ Board of Chosen Freeholders, Salem County, New Jersey. Accessed August 22, 2018. ^ a b The Official 2017 Salem County Directory, Salem County, New Jersey. Accessed August 22, 2018. ^ 2018 County Data Sheet, Salem County, New Jersey. Accessed August 22, 2018. ^ a b November 7, 2017 Summary Report Salem County, NJ Official Results, Salem County Clerk, updated November 21, 2017. Accessed January 1, 2018. ^ November 8, 2016, Summary Report Salem County, NJ Official Results, Salem County Clerk, November 14, 2016. Accessed January 30, 2017. ^ Gallo Jr., Bill. "Salem County freeholder board swears in new member", NJ Advance Media for NJ.com, January 19, 2017. Accessed August 22, 2018. "Republican Scott Griscom, 69, was sworn in Wednesday night to fill the seat on the board left vacant by the abrupt resignation of Julie Acton in December." ^ New Jersey State Constitution (1947), Article VII, Section II, Paragraph 2, New Jersey Department of State. Accessed October 26, 2017. ^ Salem County Clerk, Salem County Clerk's Office. Accessed October 22, 2017. ^ Members List: Clerks, Constitutional Officers Association of New Jersey. Accessed October 22, 2017. ^ Home Page, Salem County Sheriff. Accessed October 22, 2017. ^ Members List: Sheriffs, Constitutional Officers Association of New Jersey. Accessed October 22, 2017. ^ Surrogate's Court, Salem County, New Jersey. Accessed October 22, 2017. ^ Members List: Surrogates, Constitutional Officers Association of New Jersey. Accessed October 22, 2017. ^ Home Page, Office of the Salem County Prosecutor. Accessed October 29, 2017. ^ "Governor Chris Christie Files Nominations" Archived 2016-06-21 at the Wayback Machine, Governor of New Jersey Chris Christie, press release dated June 3, 2014. Accessed October 26, 2017. "Prosecutorial Nominations - Nominate for appointment John T. Lenahan (Pilesgrove, Salem)"
^ Cumberland/Gloucester/Salem Counties, New Jersey Courts. Accessed October 22, 2017. ^ a b c d Voter Registration Summary - Salem, New Jersey Department of State Division of Elections, March 23, 2011. Accessed January 23, 2013. ^ a b GCT-P7: Selected Age Groups: 2010 - State -- County Subdivision; 2010 Census Summary File 1 for New Jersey, United States Census Bureau. Accessed January 23, 2013. ^ "Presidential Election: Winners by County". The Washington Post. ^ 2008 Presidential General Election Results: Salem County, New Jersey Department of State Division of Elections, December 23, 2008. Accessed January 22, 2013. ^ Official List - Candidates for President For GENERAL ELECTION 11/06/2012 Election, Secretary of State of New Jersey, December 6, 2012. Accessed October 1, 2013. ^ 2004 Presidential Election: Salem County, New Jersey Department of State Division of Elections, December 13, 2004. Accessed January 22, 2013. ^ Leip, David. "Dave Leip's Atlas of U.S. Presidential Elections". uselectionatlas.org. Retrieved 2018-06-10. ^ 2009 Governor: Salem County, New Jersey Department of State Division of Elections, December 31, 2009. Accessed January 22, 2013. ^ 2012 Congressional Districts by County, New Jersey Department of State Division of Elections. Accessed January 23, 2013. ^ Legislative Roster 2018-2019 Session, New Jersey Legislature. Accessed January 21, 2018. ^ District 3 Legislators, New Jersey Legislature. Accessed January 22, 2018. ^ Salem County Mileage by Municipality and Jurisdiction, New Jersey Department of Transportation, May 2010. Accessed July 18, 2014. ^ Travel Resources: Interchanges, Service Areas & Commuter Lots, New Jersey Turnpike Authority. Accessed August 17, 2015. ^ About the Delaware Memorial Bridge, Delaware River and Bay Authority. Accessed August 17, 2015. ^ GCT-PH1: Population, Housing Units, Area, and Density: 2010 - County -- County Subdivision and Place from the 2010 Census Summary File 1 for Salem County, New Jersey, United States Census Bureau. Accessed August 16, 2015. ^ a b "Monthly Averages for Salem, New Jersey". The Weather Channel. Retrieved October 13, 2012. This page was last edited on 1 April 2019, at 07:05 (UTC).